If Shanghai is remembered as the birthplace of the Chinese Communist Party (CCP) then Yan’an, in the northern province of Shaanxi, was the crucible of the communist revolution. Yan’an was the largest base and headquarters of the CCP between 1936 and 1948. The Yan’an period included significant events like the 1936 Xian Incident, the Second Sino-Japanese War, the Rectification Movement, contact with foreign visitors and the Civil War with the Nationalists. Understanding the Yan’an period is important for tracking the development of the CCP, especially the consolidation of Mao Zedong’s leadership and the formation of his ideology. A 2013 article in Chinese newspaper the People’s Daily describes Yan’an as a “holy place for Chinese revolution”, where the “soul of the Chinese nation” was born. Communist mythology often refers to the ‘Yan’an Spirit’, a combination of determination, commitment and optimism about the communist cause. But there was also a darker side to Yan’an, the place where Mao established and extended his control over the party by eliminating his opponents. After the Long March the CCP spent months examining alternative bases in Shaanxi province. In 1936 they chose the town of Yan’an, with its distinctive yellow loess (a fertile silty soil), as the heart of the new Soviet. In the first months at Yan’an, the CCP leadership was in a state of flux. Mao Zedong ended the Long March ascendant over the Red Army but the leadership of the party was still in question. Mao’s rivals included the 28 Bolsheviks, pro-Soviet led by Wang Ming, who had been sent from Moscow in 1937 to bring the CCP into line. Wang and his supporters wanted a Soviet model of proletarian revolution. In addition to the 28 Bolsheviks, there was also a clique of pro-Western liberals, the ideological children of the May Fourth movement. Mao sought to win over both factions with his own ideas, which later evolved into Mao Zedong Thought. Mao believed Marxist-Leninist theory must be adapted to suit Chinese conditions, to win the hearts and minds of the peasantry so they might become the driving force of the revolution. In Problems of Strategy in Guerrilla War (1938), Mao wrote that “China’s revolutionary war is waged in the specific environment of China and so it has its own specific circumstances and nature… we must value more the experience of China’s revolutionary war because there are many factors specific to the Chinese Revolution and the Chinese Red Army”. Settling in Yan’an, Mao and other CCP cadres lived in small caves, a traditional dwelling in that part of northern China. The Shaanxi region was very poor but for survivors of the Long March, life in the Yan’an caves was an improvement. 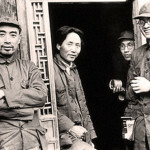 This period nurtured feelings of camaraderie and achievement for many CCP and Red Army members. Some historians argue that the poverty of Shaanxi increased peasant radicalism, as villagers readily adopted CCP systems of land distribution and cultivation, health provision and education. The good habits Mao had taught the Red Army back in Jiangxi helped gain the support of the peasantry. This stood in contrast to the corruption, lack of empathy and occasional brutality of the Nationalists. 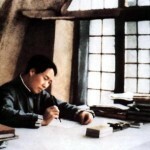 Mao encouraged party leaders and intellectuals to live and work among the peasants. Historian Michael Lynch suggests the CCP did not gain followers through ideological conversion; instead, “the peasants followed the Reds because of the way they were treated by them”. While some of the growth in party membership was driven by coercion, “the fact remains that Yan’an marked a major propaganda victory for the Chinese Communists”. 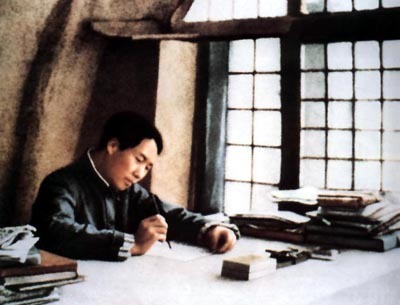 The relative stability in Yan’an allowed Mao to spend a great deal of his time writing. Indeed, it was his most productive and prolific period as a revolutionary theorist. But the Yan’an period also allowed Mao’s violent and authoritarian methods to flourish. In his 1940 essay On New Democracy, Mao outlined his plans for a ‘dictatorship of the people’ or ‘democratic dictatorship’. In this system, the people were involved in grassroots democratic processes but the party maintained total control at the higher levels. Similarly, his theory of the ‘mass line’ – which argued that the party should “listen attentively to the voice of the masses” – sounded democratic in theory but was authoritarian in practice. By the outbreak of World War II, Mao was the titular leader of the CCP but his control was not extensive. In 1941 he initiated the Rectification Movement, which lasted around three years. Beginning as a program for study and discussion of Mao’s writings, rectification soon involved self-criticism or ‘struggle sessions’, where comrades were expected to publicly denounce their own failings. With the help of Mao’s chief of security, Kang Sheng, rectification spiralled into a sweeping purge of party members, many of whom were tortured, imprisoned and even executed. Late in the rectification movement, Mao was confronted by a backlash and admitted to “excesses”. But by 1944 his leadership was undisputed and Mao Zedong Thought was cemented as the party’s official ideology. The brutality of rectification has been concealed by the CCP’s portrayal and of this period and its promotion of the ‘Yan’an Spirit. Foreign visitors contributed to this by reporting utopic visions of Yan’an. Journalist Edgar Snow and George Hatem, a doctor, were the first Americans to visit the Red Army base in 1936. Snow remained in Yan’an for four months, interviewing Mao and others and observing the workings of the Soviet. When Snow’s influential Red Star of China was published in 1937 it shaped American perceptions of the time. Snow portrayed the communists as austere and patriotic, praising them as “agrarian reformers”. He also described the Long March as “one of the great exploits of military history”. Between 1936 and 1939 some 19 foreign visitors made the trek to Yan’an and most returned with glowing reports. Among them were the writer Agnes Smedley, who reportedly taught communist leaders to dance, and the Canadian surgeon Norman Bethune, who established mobile operating theatres in Yan’an. Few of these visitors spoke any Chinese, however, and they saw only what CCP hierarchs wanted them to see. In 1944, as the United States was escalating its war against Japan, President Franklin D. Roosevelt sent several American military and diplomatic observers to Yan’an. 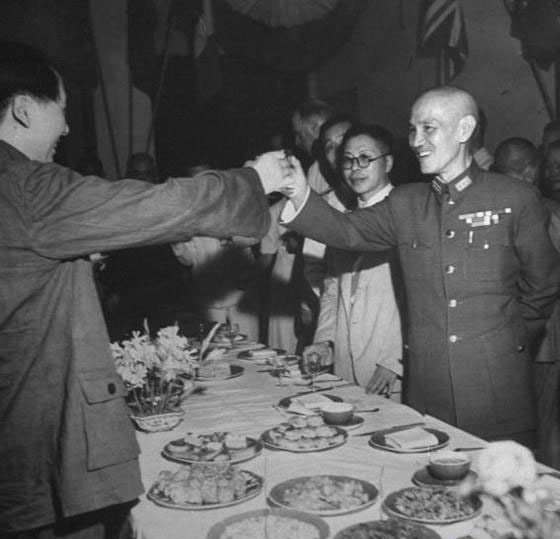 Roosevelt’s government wanted to evaluate the communists and their military strength, particularly in comparison with Jiang Jieshi’s Nationalist government. The Dixie Mission, as these visiting entourages were dubbed, also spoke highly of the communists. They suggested that in the event of a looming civil war, the CCP might actually win control of China. The Americans attempted to encourage and broker peace negotiations between the CCP and the Nationalists – but neither Jiang Jieshi or Mao himself were willing to adhere to any agreements. 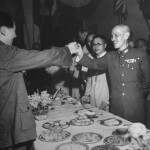 In August 1945, shortly after the Japanese surrender, America’s newly appointed ambassador to China, Patrick Hurley, was able to bring Mao and Jiang together for six weeks of peace talks in Chongqing. Both sides declared their commitment to both a unified China and post-war reconstruction, however, the talks were awkward and achieved little. By the end of 1945, the Guomindang and CCP were both manoeuvring for a resumption of the civil war. 1. The Yan’an period was crucial to the development of CCP ideology and mythology, as well as the CCP’s eventual victory over the Nationalists in 1949. 2. During this time Mao wrote prolifically to develop his own revolutionary ideology, a theory of peasant-led revolution distinct from Bolshevik models. Some of his key ideas included the people’s dictatorship, the mass line and rectification. 3. 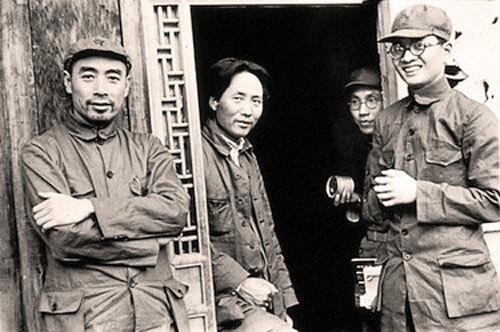 Support for the party and the Red Army surged during this period, especially from the peasants who were dissatisfied with Nationalist corruption and mistreatment and admired the CCP’s commitment to its principles. 4. Mao’s brutal rectification movement was a darker period that established his undisputed control of the party, through systematic and often deadly purges of party leaders and members. 5. Foreign visitors to the Yan’an Soviet, such as the American journalist Edgar Snow and the Dixie Mission observers, were overwhelmingly impressed by what they saw, though these visits were effectively stage-managed by CCP propagandists. R. Cairns, “The Yan’an Soviet”, Alpha History, accessed [today’s date], https://alphahistory.com/chineserevolution/yanan-soviet/.